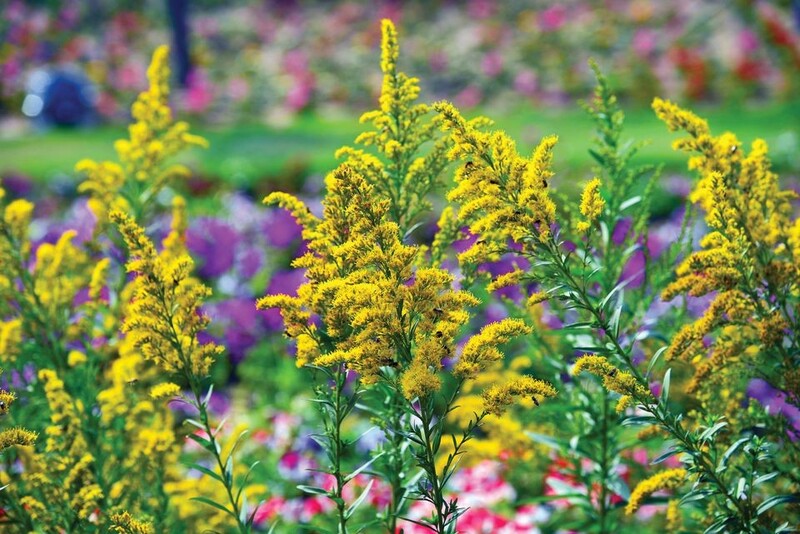 Goldenrod: This low maintenance beauty has been erroneously blamed for causing hay-fever. The real culprit is rag weed. 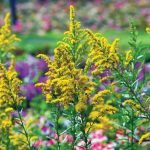 The pollen in goldenrod is too heavy to fly in the air. Instead, it sticks to the legs of the butterflies and insects that feed on its nectar. It blooms late in the season and is deer and drought resistant. 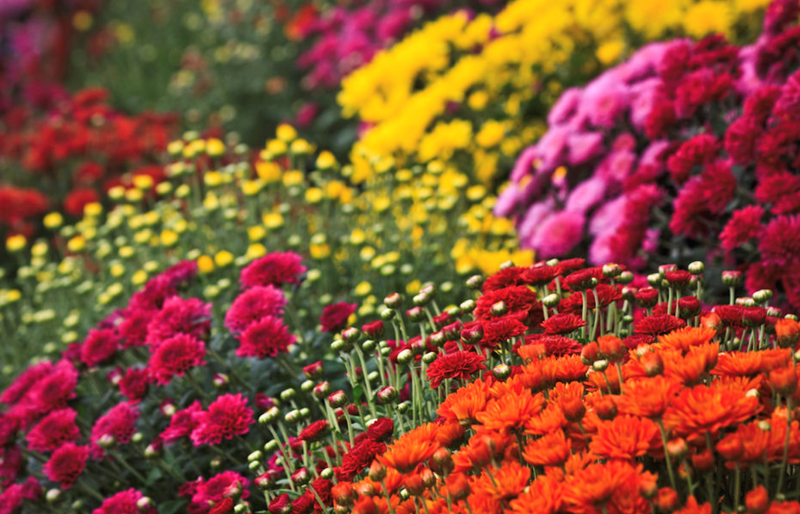 Chrysanthemums: Commonly called “mums”, these richly hued plants are true sign of fall. 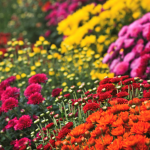 When buying mums, look for ones labeled “hardy mums” or “garden mums” for the best chance of having them thrive throughout the season. Plant them as soon as you buy them. Late August is not too early. Given the opportunity to develop a strong root system, they will last longer. 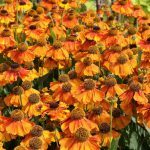 Helenium: Part of the daisy family, this cheery flower blooms in yellow, orange and red bringing a vibrant ambiance to your garden. 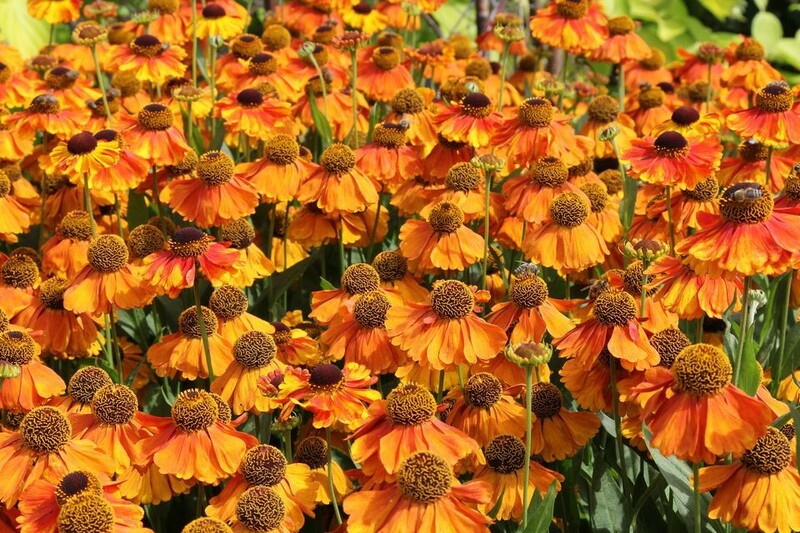 These tough, easy-to-grow perennials bloom late in the season and last a long time. 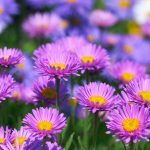 Asters: Available in a variety of hues in shades of pink, purple, blue and white, these perennials bloom from mid to late fall. Loved by bees, butterflies and other pollinators, they provide a late feeding opportunity for them. 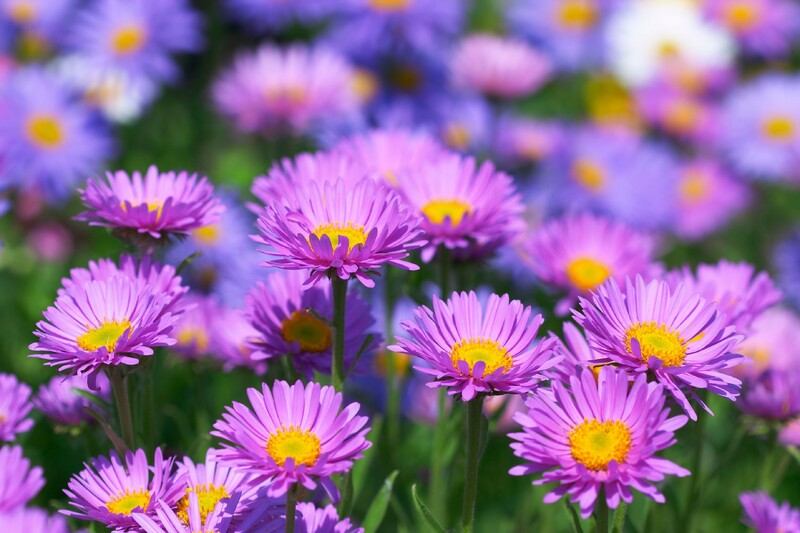 Plant them as soon as they are available in early fall so that they can establish a strong root system. 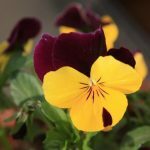 Pansies: One of the most popular cool weather annuals, pansies are favorites for fall flowerbeds. 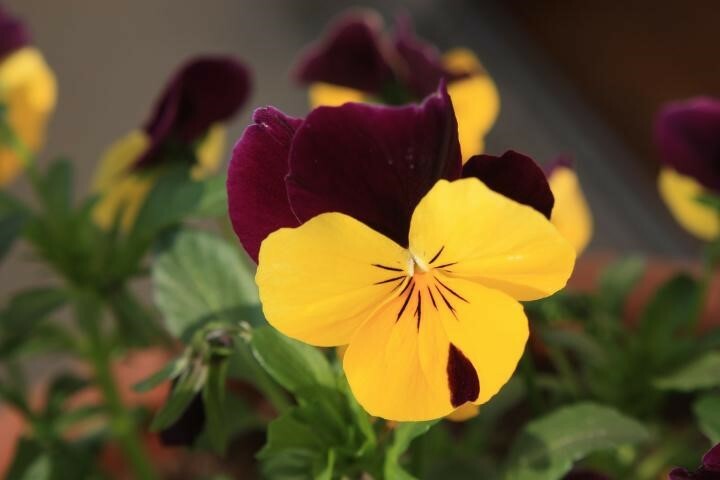 They are very hardy and can continue to bloom through winter and into spring, thereby adding lively color to your garden almost year ‘round!